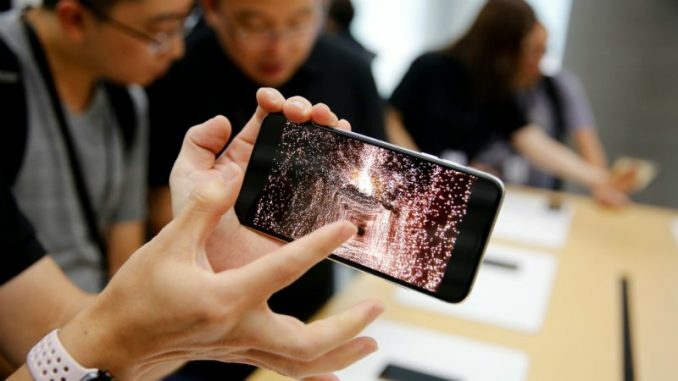 Apple earlier this month unveiled its latest full screen smartphones, the iPhone XS, iPhone XS Max, and a cheaper iPhone XR. The former two went on sale last week in the first batch of countries and it is being reported that the larger iPhone XS Max is already outselling the iPhone XS by a huge margin. The Gold and Space Grey colour options of the iPhone XS Max are more popular than the Silver variant, and the 512GB storage option seems to be facing a shortage issue because of low NAND supply for the premium model, as per a noted analyst. These developments have been mentioned in an investor note by TF International Securities’ analyst Ming-Chi Kuo as seen by Mac Rumors. Kuo believes that the iPhone XS Max is seeing up to three or four times the demand as compared to iPhone XS – better than expected, he added. He also claims that the predicted softness in demand in the Chinese market is proving to be wrong as shipments continue to remain high. He goes on to state that Apple’s prosperity will continue to extend as far as early 2019, thanks to the release of the iPhone XR on October 19 that will further fuel sales given its relatively affordable price tag and high-end internals. Shaped LCD panels, the ones used on the iPhone XR to accommodate the display notch design, were behind the 30-odd day delay in iPhone XR shipments. Kuo believes October will see improvement in deliveries of this LCD component. Kuo expects the iPhone 2018 range to sell about 75-80 million units in the launch period, exact duration of which was not specified. The fourth quarter is also expected to create a record for Apple considering the iPhone average selling price is expected to exceed the market expectation of $750-770. As for the Apple Watch Series 4 lineup, Ming-Chi Kuo expects about 19.5 million units to ship before the end of the year, a substantial uptick from last year’s 18 million. This owes most to the radical design and new features. Earlier this month, Kuo had predicted that the Apple Watch Series 4 would garner about 18 million sales by the end of this year. He had also said that the iPhone XR will account for about 55 to 60 percent of total iPhone 2018 sales, followed by iPhone XS Max at about 30 percent.